Spanish for "fresh water," agua fresca is a refreshing, fruit-infused drink that is served throughout Mexico. I use to drink it off of the street carts in Tonola, Mexico. Depending on the ripeness of the fruit, adjust the amount of sugar for desired sweetness. Here is the original recipe and you can make it with any type of fruit. Combine water and sugar, stirring until sugar dissolves. Place fruit in a blender, and process until smooth. Combine the sugar mixture, fruit puree, and juice; stir well and serve. Now, here is a variation on the traditional Auga Fresca and I could not get over how much I really love this refreshing drink. The texture of the berries and the combination of the fruit juice with the sparkling water makes for a really healthful summer drink. Combine the berries and lime in a bowl and crush the berries until they are exuding their juices. 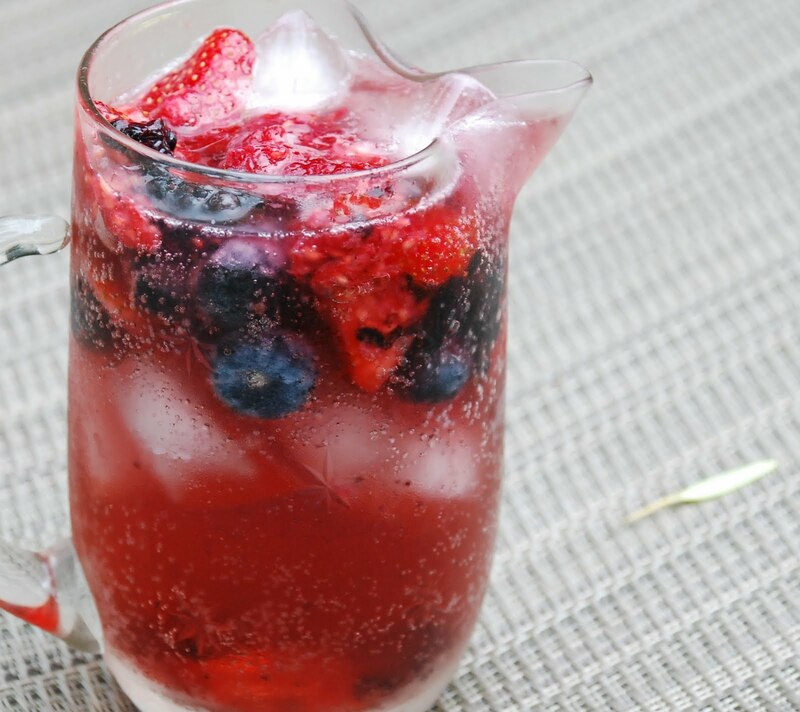 Fill 2 glasses with ice and spoon berry mixture over ice. Pour cranberry juice and sparkling water over the berry mixture and serve.